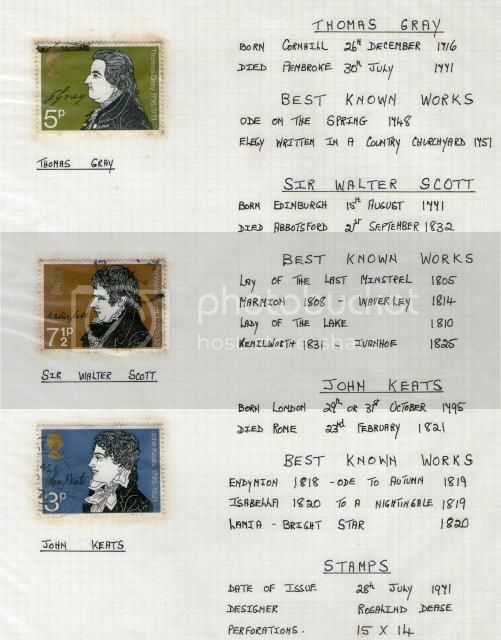 I have a few stamps with pictures of famous authors, and thought this might make a good thread. 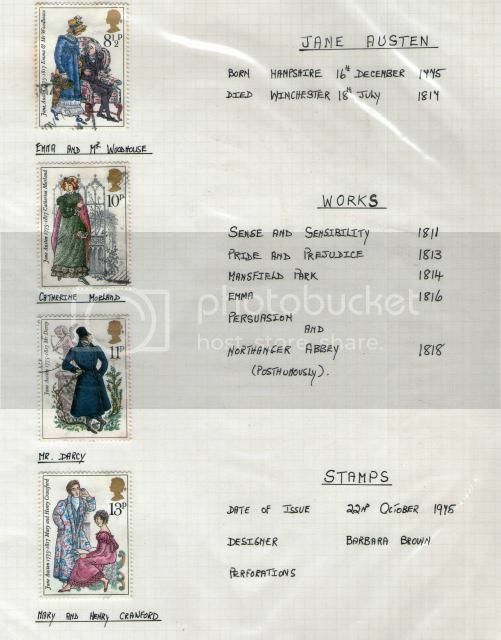 Please post images of stamps with portraits of authors here. 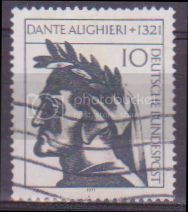 To kick things off, here is a 1971 West German stamp marking the 650th anniversary of the death of Dante. The season of "mists and mellow fruitfulness" is probably just a couple of months off, at least where I live. 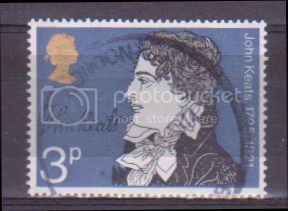 Here is a 1971 UK stamp to mark the 150th anniversary of the death of John Keats, who penned those words. This thread absolutely has to have a stamp featuring Shakespeare. here is one issued by Hungary in 1964 to mark the 400th anniversary of his birth. thi is a great topic. 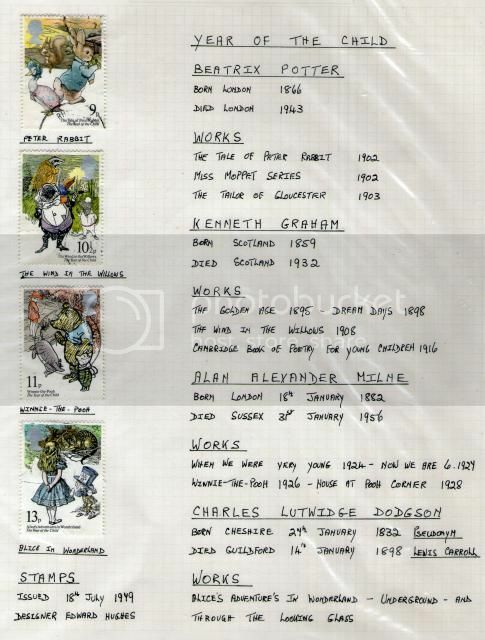 are there any for Tolkien? he is my number one favorite author..
michaelcayley, Great idea, nice samples. 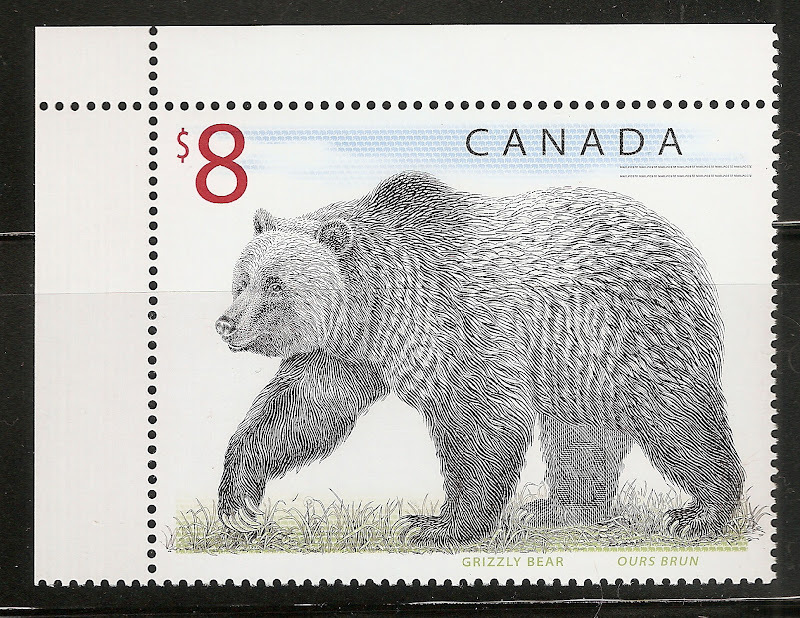 Issued by Canada Post on August 28th 2013. 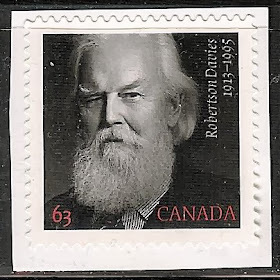 Robertson Davies was one of the most influential Canadian Authors as well as a playwright, journalist, critic and professor. 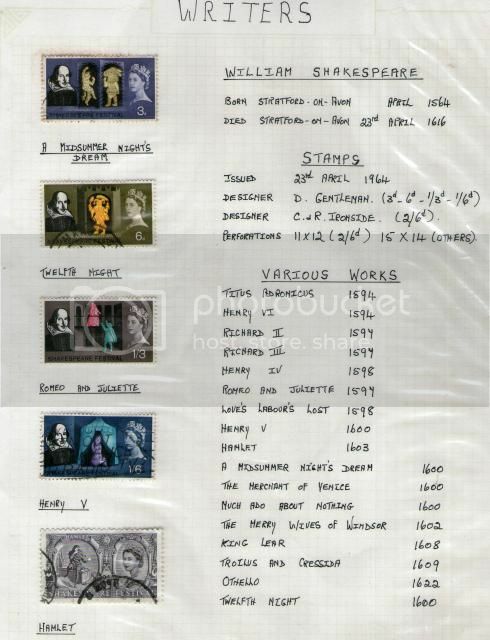 Froissart features on this 1977 Belgian stamp, SG 2495. Froissart, who lived from about 1337 to about 1405, entered the service of Philippa of Hainault, wife of the English king Edward III. He wrote in French, including a verse Arthurian romance, but is best known today for his Chronicles, which record event of the Hundred Years' War between England and France up to 1400 and are still a major source for historians. The first part of the Chronicles was completed, it is thought, in 1377 and the Belgian stamp marks the 600th anniversary of its appearance - I do not use the word "publication" because this was before publication as we know it came into existence. Rabindranath Tagore (1861-1941) was a major Bengali poet, author and composer of songs who won the Nobel Prize for Literature in 1913. Outside his own country he is best known for poems which express, often in very sensuous terms, the longing of the soul for God, but he also wrote fiction and plays. In 1915 he was given a knighthood by the British, but he renounced it in 1919 after the Amritsar massacre in which, according to official British figures, 370 died and 1200 were wounded for protesting against the arrest of two leaders (the true figures may have been higher). In 1961 Romania issued a stamp for the centenary of his birth, SG 2884. Theodor Fontane (1819-1898) was a major German author who wrote realistic novels. His most famous work is Effi Brest, a tragic novel about adultery. There have been at least 5 film and TV adaptations of the novel in Germany. In 1994 Germany issued a stamp, SG 2612, to mark the 175th anniversary of his birth. F Scott Fitzgerald (1896-1940) must be one of the most famous US authors. His novels have often been filmed, the most recent film being the 1913 adaptation of his most famous work, The Great Gatsby. He became financially very successful, but was an alcoholic, and his wife Zelda developed mental illness. 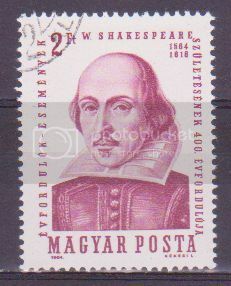 In 1996 the United States issued a stamp, SG 3239, to mark the centenary of his birth. Edgar Lee Masters (1868-1950) was a US poet best known for the Spoon River Anthology, a collection of poems about the inhabitants of an imaginary small town. In 1970 he featured on a US stamp, SG 1401. Louis Hémon (12 October 1880 – 8 July 1913), was a French writer best known for his novel Maria Chapdelaine. Frederick Philip Grove (February 14, 1879 – September 9, 1948) was a German-born Canadian novelist and translator. Émile Nelligan (December 24, 1879 – November 18, 1941) was a francophone poet from Quebec, Canada.